Social interactions may be critical for proper development of the region of the brain that plays a major role in regulating our personality, according to a study by a national research team published in the Advance Online Publication on Nature Neuroscience on Nov. 11. 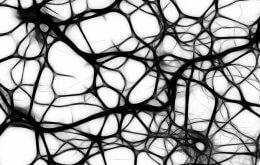 Nerve cell processes require thick ensheathments, known as myelin, to ensure rapid and appropriately coordinated communication. Using an animal model, researchers observed that the myelin (thick black rings outlining the nerve cell processes) of mice that are housed with other mice, is robust (see left panel). In mice that are housed in isolation (see right panel), the myelin sheath is significantly thinner indicating impaired development and ultimately deficient function. Images were taken on a transmission electron microscope. Image courtesy of Jeffrey Dupree, Ph.D./VCU. The findings demonstrate the importance of social activity and how social isolation may lead to irreversible mental deficits. This understanding provides critical information that may help researchers and clinicians have a better understanding of the processes that regulate brain development and presumably brain function. The team was led by Patrizia Casaccia, M.D., Ph.D., professor of neuroscience, genetics and genomic sciences and neurology and chief of the Center of Excellence for Myelin Repair at the Friedman Brain Institute at Mount Sinai School of Medicine, together with researchers from the Virginia Commonwealth University School of Medicine, the University of Maryland School of Medicine and the University of Buffalo School of Medicine. The team examined the extent of myelin formation in the prefrontal cortex using an animal model. Myelin is the insulating wrap that regulates the speed and efficiency of neuronal conduction, or interneuronal communication. They found that the development of the prefrontal cortex, a region of the brain that plays a major role in regulating our personality, is significantly retarded in mice that are socially isolated. “This work furthers the idea that brain development is significantly impacted by our environment and our experiences,” said Jeffrey Dupree, Ph.D., associate professor of anatomy and neurobiology in the VCU School of Medicine, who was involved with the study. “Moreover, retardation of this development may not be reversible,” he said. Although the current study was done in an animal model, Dupree said that the findings may ultimately have profound implications for socially shy or awkward children. For the past 17 years, Dupree’s research is focused on investigating the central nervous system to better understand disease such as multiple sclerosis that can have a significant impact on the central nervous system. In addition to Dupree, Jacqueline DeLoyht, a student in Dupree’s lab, contributed to this research. A significant amount of the research was conducted in the Microscopy Imaging Facility housed within the Department of Anatomy and Neurobiology in the VCU School of Medicine. This study was supported by grants from the National Institutes of Health (R37-NS42925-10 and P50-MH96890), a Center core grant to the VCU Microscopy Facility (5P30NS047463), and the National Multiple Sclerosis Society (FG1874-A-1). EDITOR’S NOTE: A copy of the study is available for reporters by email request from the journal by contacting Neda Afsarmanesh at 212-726-9231 or n.afsarmanesh@us.nature.com.